Eastwood is back with another fast-paced biographical drama. 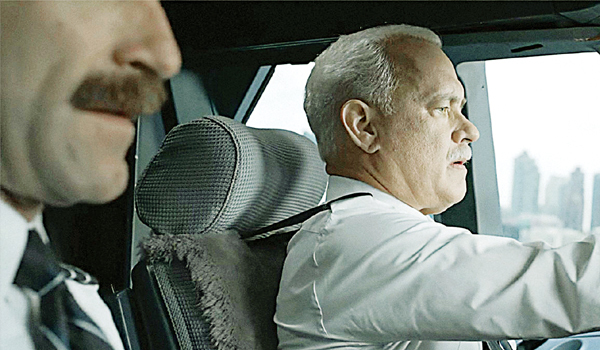 Tom Hanks gives a stellar performance as he recreates the real events of the emergency landing made by pilot Chesley Sullenberger on the Hudson river after hitting a flock of geese. The movie is inspiring and optimistic. This one is a must watch. The movie is centred on a debt collector-turned-golfing sensation played by Siddiqui. Essaying a light role for a change, Siddiqui shines in this sports rom-com. Despite the fact that it is interspersed with clichA�s and unwanted drama, the movie makes for a good entertainer with some clever one-liners that are sure to stay with you. This is a classic horror movie which follows the tried and tested home-invasion plot, but does not disappoint. The Uruguayan filmmaker, Alvarez has focussed on making a movie with less blood and gore, after his previous movie, an Evil Dead remake, drew criticisms for it. This one is packed with enough surprises, jump scares and plot twists to satisfy die-hard horror film nerds.